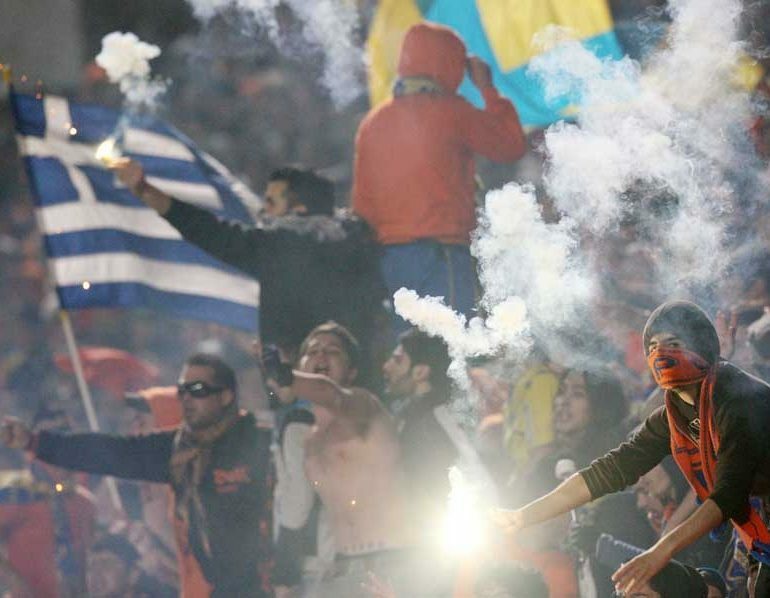 A Nicosia woman was handed a suspended sentence in connection with the use of firecrackers at a football match, police said Wednesday. The woman was ordered to present herself at a specific police station before the start of any match, event or group activity of the team she supports and remain there until it’s over. Why a suspened sentence? She has committed a serious crime. The other day, a similar charge against a male “supporter” ended up with him behind bars – where is the level playing field here??? ?